I Am about to do a Mighty Work." "I say GREATER things you shall see! For it is there for you to take. Does not My Word say - Greater things you shall do in My Name? Into new heights, and you shall see Greater things. And see from a New view of the move of My Hand," says the Lord. Compared to what is ahead." And drip the precious fragrant flow of Your love over me again. 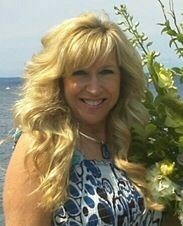 Linda Keough is the Travel Coordinator at the Spokane Headquarters as well as the new assistant to Cal Pierce. She and her husband, John, are the Regional Directors of Hawaii.